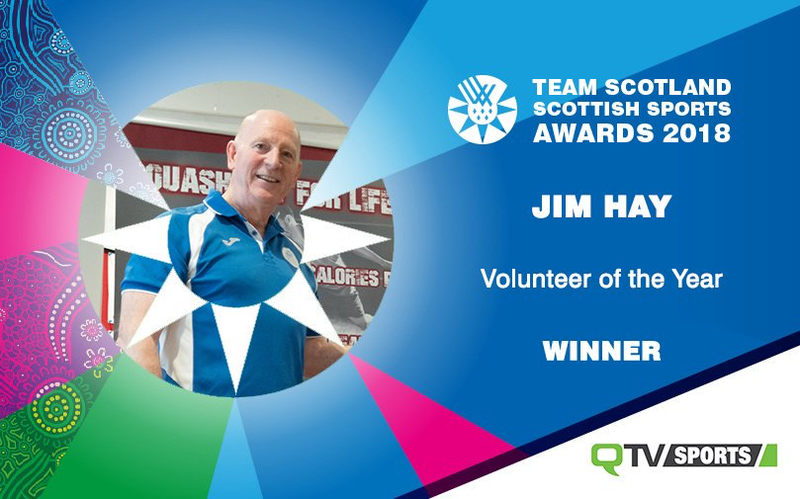 Scottish Squash President Jim Hay has been recognised for his superb contribution to squash by winning the 2018 Volunteer of the Year award at a glittering Team Scotland Scottish Sports Awards ceremony last night (Thursday, September 13). More than 550 people joined the celebrations at the Edinburgh International Conference Centre, where the evening was hosted by TV presenters Hazel Irvine and Dougie Vipond, with funds raised for the Scottish Commonwealth Games Youth Trust. 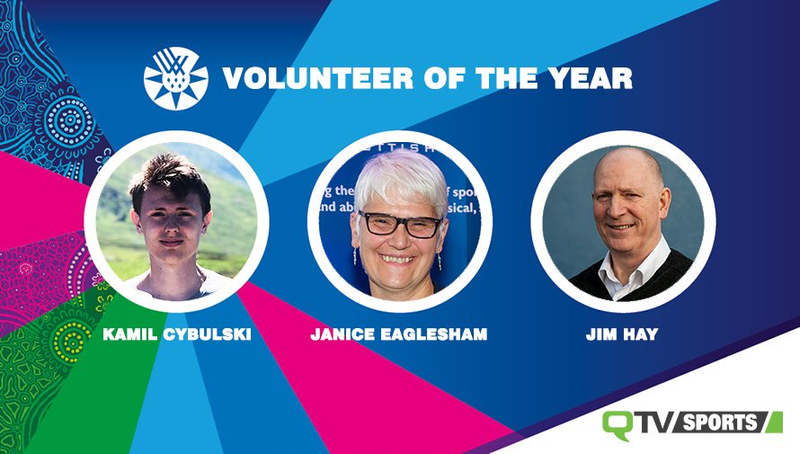 From the thousands of volunteers who give selflessly of their time at all levels of sport in Scotland, three inspiring individuals were shortlisted for the prestigious Volunteer of the Year award supported by QTV Sports, including Kamil Cybulski and Janice Eaglesham for their significant contributions to basketball and Disability Sport respectively. 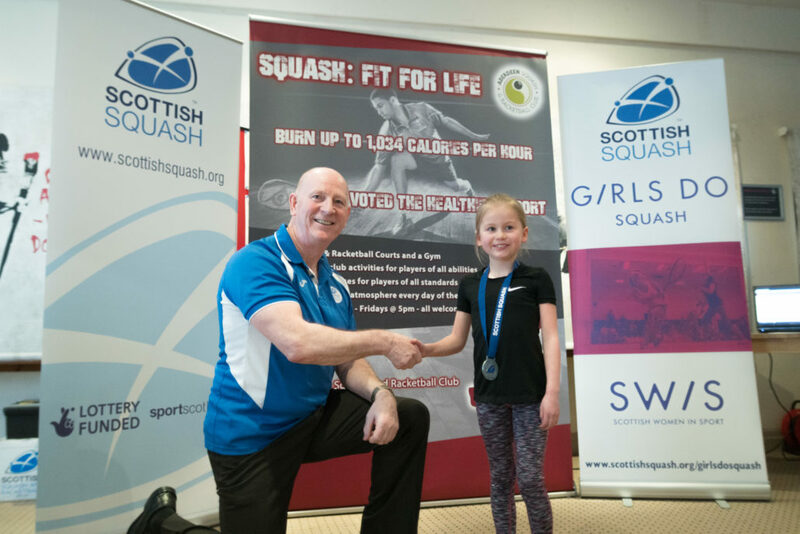 Outgoing Scottish Squash President Jim Hay has led the sport of squash for five years, working long hours and investing a great deal of his own resource to drive a new and positive culture with a focus on teamwork, respect and partnership working. During this time Scottish Squash achieved its first medals for 17 years including World Doubles gold and silver, European Team Bronze and this year Scotland’s women also won promotion to the top flight of European competition. 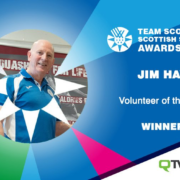 Jim has been selected to work on the World Squash Federation Ethics Committee, ensuring best practice and quality delivery at the highest level of the sport and has also driven a campaign to attract new referees into the sport and train, support and mentor them using the Commonwealth Games in Birmingham 2022 as an inspiration. Under Jim’s leadership Scottish Squash has enhanced its Governance structures, achieved new sponsorship, built new partnerships and are now respected at World and European level as well as nationally. Speaking at the awards ceremony last night, Jim said: “To win the award, I feel quite humble to be honest, I didn’t expect this. 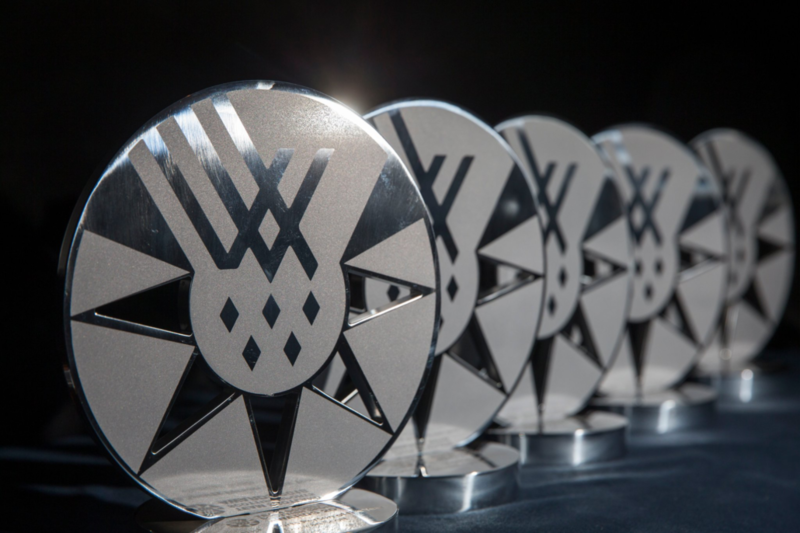 “I was surprised to be nominated in the first place and honoured to be shortlisted. “But it’s not about me. Ultimately for me, I love sport, I love watching sport and it’s all about supporting our athletes. “I see sport as a team effort, even with individual athletes. “It’s about people in the background and funding in the first place from sportscotland, the government and sponsors who are crucial. Paul Bush OBE, Chairman, Commonwealth Games Scotland said: “Scottish sport relies on countless hours dedicated by volunteers, from local initiatives right up to the international level. He continued: “Tonight has been a fantastic celebration of what has been and continues to be a golden year for Scottish sport, with our athletes excelling across a packed schedule of championship events.